If you ride stationary bikes and ever thought how great it would be if you could actually ride it somewhere, good news! 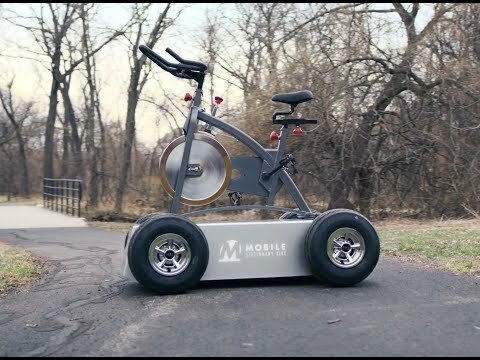 Planet Fitness and Kansas City Independent creative agency Barkley have created the very first mobile stationary bike. In the age of spendy SoulCycle classes and Peloton ads showing spin bikes sitting in the center of a sprawling living room with panoramic views, Planet Fitness realizes that the real at-home workout looks a lot different. The ad promoting the new product, a woman attempts to ride in a corner so cramped that she can’t even lean back without knocking art off of her walls. But the Mobile Stationary Bike lets her ride out the front door on four sturdy wheels. Because, of course, this is an April Fool’s Day creation, so the product will be coming... Never. “This thing is just ridiculous enough to actually become a fad of its own. 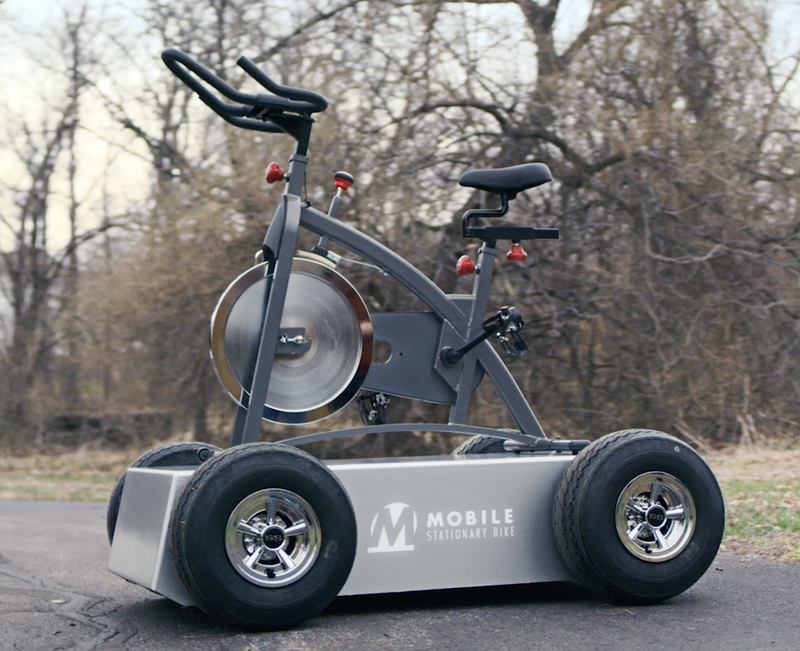 It was fun to figure out how to actually create a mobile stationary bike. Even more fun to watch our talent ride it down the street,” says Katy Hornaday, Barkley Executive Creative Director. To build the mobile stationary bike, Barkley worked with The Pineapple Agency in Denver. The bike itself is bolted to the platform and the movement is human powered, coming in at 250 pounds.